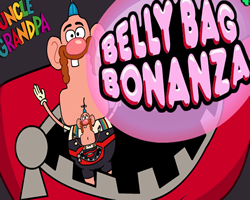 Belly Bag Bonanza Belly Bag Bonanza Use Uncle Grandpa's magical Belly Bag to round up all his friends in the RV. 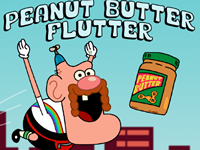 Reckless Roadtrip Reckless Roadtrip Fly to alien dimensions with Uncle Grandpa and battle all kinds of weird monsters as you search for your friends. 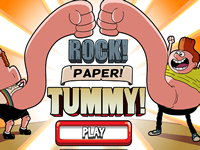 Rock Paper Tummy Rock Paper Tummy Choose the best move to beat Uncle Grandpa before the time runs out with rock paper and scissors game. 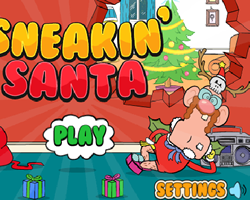 Sneakin Santa Sneakin Santa Help Uncle Grandpa save Christmas through the power of breakdancing. 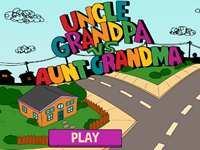 Uncle Grandpa Vs Aunt Grandma Uncle Grandpa Vs Aunt Grandma Uncle Grandpa will be driving his van and against Aunt Grandma, who is competing with him and sure she will win. 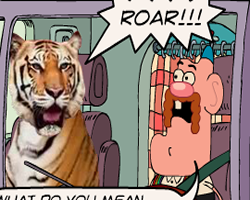 Up to Snow Good Up to Snow Good Help Uncle Grandpa rescue his friends from magical snow monsters.